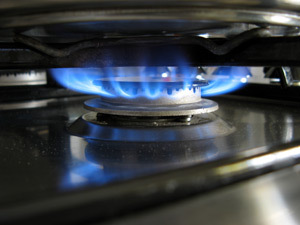 Following the second phase of the Green Deal Home Improvement Fund (GDHIF) launch last Wednesday, trade body UKLPG – which represents the interests of the Liquefied Petroleum Gas industry – is urging the Department for Energy and Climate Change (DECC) to review the role of LP Gas in delivering a cohesive off-grid heating strategy. UKLPG has outlined that the continued exclusion of LP Gas from the list of eligible measures under the GDHIF is a missed opportunity to improve the heating efficiency for truly rural off-grid householders. UKLPG believes this is an example of inconsistent government policy which is putting rural populations at a disadvantage. Instead of supporting families in rural fuel poverty, UKLPG argues that successive energy strategies have actually penalised rural homeowners. Data shows that the CERT, CESP and the Energy Companies Obligation schemes have all delivered substantially greater benefit to urban areas compared with their rural counterparts. “We welcome the commitment of all political parties to energy efficiency and the eradication of fuel poverty. However, there is still misunderstanding around how these issues affect rural Britain. Indeed, off-grid heating policy continues to be misplaced, limiting consumer choice and failing to address the needs of off-grid households. In representations to DECC, UKLPG has confirmed that LP Gas is the lowest carbon of all of the off-grid conventional fuels and burns without the pollutants that other conventional and some renewable fuels emit. “Around two million homes, that’s 4.6 million people, do not have access to the mains grid in the UK. However, the widely variable quality and age of housing stock, combined with accessibility (or lack thereof) to infrastructure means that a one-size-fits-all solution to energy efficiency and fuel poverty will not work. UKLPG continues to engage with all political parties to improve understanding of the particular needs of rural off grid communities, in light of policy interventions to improve energy efficiency and reduce fuel poverty.